Today’s lunchtime TED Talk featured poet Billy Collins. In collaboration with the Sundance Channel, several of his poems were turned into animated short films, and five of them are shown during the Talk. Collins is a two-term U.S. Poet Laureate. He has written over a dozen books of poetry, and more information about him can be found at the Poetry Foundation. 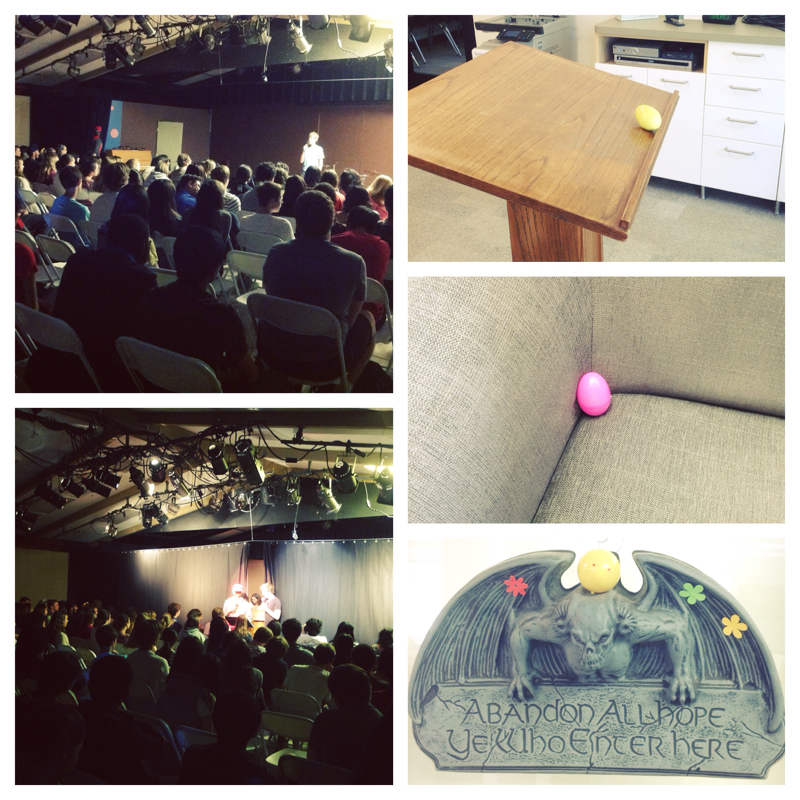 Today we had the high school talent show, followed by a surprise Easter egg treasure hunt sponsored by the student council. Eggs were hidden all over campus and were filled not only with candy, but bonus points/homework passes for select classes. Matthews library was very eggy for about five minutes–until all eggs were gleefully spotted. Gary the Festive Gargoyle was tickled pink to be chosen as a hiding spot.